After deciding in tenth grade that she wanted to be a dentist, Dr. Robyn Loewen attended Gustavus Adolphus College where she received a Bachelor of Arts degree in Biology, and subsequently earned her Doctorate of Dental Surgery from the University of Minnesota School of Dentistry, where she participated in the dental mission trip to Jamaica during her senior year. 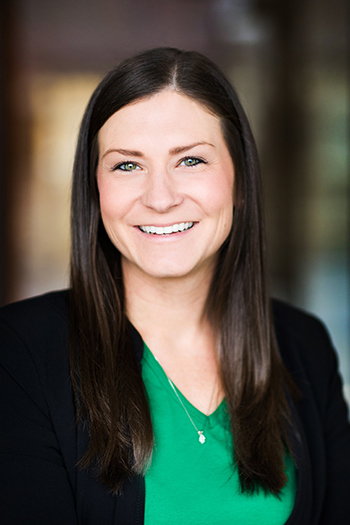 Dr. Robyn found that she had a passion for treating children and adolescents while practicing general dentistry during the three years following dental school, and completed her specialty residency at Children's Hospital of Wisconsin. In addition to her private practice, she is a Supplemental Consultant in the Department of Dental Specialties at Mayo Clinic, where she treats medically complex children under general anesthesia in the operating room. In addition to extensive continuing education on clinical care topics such as trauma and pediatric growth and development, she has pursued every opportunity for learning new ways to make the experience of visiting our office easy and fun. She has attended several Disney Institute courses, and completed the Kellogg School of Management (Northwestern University) Executive Management Program for Dentists. Dr. Loewen is a board-certified Diplomate of the American Board of Pediatric Dentistry and is a member of the American Academy of Pediatric Dentists (Fellow), Minnesota Academy of Pediatric Dentists, American Orthodontic Society, American Dental Association, Minnesota Dental Association, Southeastern District Dental Society, and the Zumbro Valley Dental Society. In addition, she serves on the Rochester Community and Technical College's Dental Assisting Program Advisory Board and was recently named a Fellow in the American College of Dentists. When she isn't in the office, Dr. Robyn enjoys playing piano for musical theater productions, spending time with her husband and grown children, camping and hiking in the mountains, and reading a good book on a beach! As a child, Dr. Hinz had the privilege of positive dental experiences with her pediatric dentist and wants to instill the same positive outlook on dentistry that she experienced. Providing patients with an enjoyable and fun experience while also providing a platform to develop lifelong coping skills is one of her primary goals. 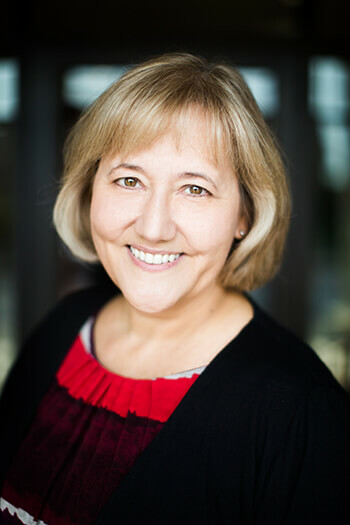 Dr. Hinz started her academic career at the University of Minnesota where she earned a Bachelor of Science degree in Biology and a minor in Child Psychology. Throughout her undergraduate education, she continued to explore her interest in pediatric dentistry by volunteering at Children's Dental Services, while also volunteering for Habitat for Humanity and other non-profit organizations. She was admitted into the University of Minnesota School of Dentistry, where she earned her Doctorate of Dental Surgery in 2014. Dr. Hinz has had a passion for working with children all of her life and tailored her education toward caring for children and adolescents at the University of Illinois at Chicago, where she completed her pediatric dental residency. While in Chicago, Dr. Hinz also completed a master's degree in Oral Sciences. Dr. Kala is a pediatric dentist and board-certified Diplomate of the American Board of Pediatric Dentistry. In addition to serving as a member of the attending contract surgical staff at Olmsted Medical Center, she is an active member of the American Academy of Pediatric Dentistry, Minnesota Academy of Pediatric Dentistry, American Dental Association, Minnesota Dental Association, Southeastern District Dental Society, and the Zumbro Valley Dental Society. In her free time, Dr. Hinz enjoys spending time outdoors with her husband and German Short-haired Pointer, as well as exploring new cities and restaurants. Dr. Hinz is a huge sports fan and loves supporting the Minnesota Gophers, Vikings and Wild! Pediatric dentistry is a specialty within the field of dentistry that requires two years of additional training following completion of dental school. This residency prepares dentists to provide comprehensive pediatric dental care to children and young adults, including those with special needs and some who just need a little extra "TLC". Areas of special knowledge and expertise within the field of pediatric dentistry include growth and development, child psychology, trauma management, treating children with complex medical conditions and providing restorative treatment in a hospital operating room setting.